And you can probably guess what these initial findings are like: They’re weird. A team of researchers picked apart the data from the three gravitational wave detections (and one likely-but-not-a-definite detection) that the Laser Interferometer Gravitational Wave Observatories (LIGO) have made since being flipped on. The scientists are far from making any conclusions, and have a few options as to how black hole pairs form. Regardless of where this research takes them, the final result will prove that distant black holes—the ones that produced the gravitational waves LIGO detected— aren’t like the ones we know about. Pairs of black holes spin like basketballs, and how their spins align can determine how they formed. If the spins line up with the black holes’ orbit around one another, then the pair probably formed together as the orbiting stars both collapsed. If the spins were in the opposite direction from the orbits or misaligned, then one of the black holes could have formed and another one passed by and got trapped in an orbit by the gravity, and could have even formed in some strange black hole nursery, something scientists certainly haven’t observed in the Milky Way. There’s even a chance the black holes formed during the Big Bang—those black hole pairs would also have misaligned spins but would spin much more slowly than the black holes in the Milky Way, according to a Nature commentary written by Steinn Sigurðsson from the Department of Astronomy and Astrophysics at Pennsylvania State University. 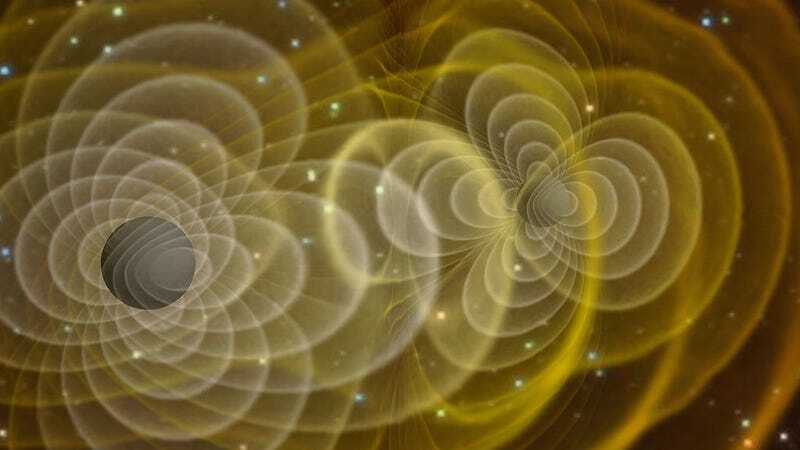 Understanding black hole binary formation now hinges on a numerical property of the gravitational wave, known as the “effective spin,” which might take on any value between negative one and one. Aligned spins always have an “effective spin” value greater than or equal to zero. This time around, the researchers have produced several models and tried to fit them to the effective spin values taken from all the previous gravitational wave events. The model presents evidence that if the individual black hole’s gravitational wave-producing pairs spin like the ones in our own galaxy do, then the distant pairs are misaligned. “It is more likely that [black holes] are formed in swarms of black holes possibly in galactic centers,” Imre Bartos, associate research scientist from Columbia University who was not involved in the research, told Gizmodo in an email. But there’s ambiguity—if these black holes spin far slower than the Milky Way’s black holes we know about today, then maybe their spins are aligned, said Farr. Bartos was excited about the new results. “The paper is an important milestone, and gives further motivation for studying galactic centers through black hole mergers,” he said. But there’s nothing conclusive, yet. “There is a ~2% chance that the results are wrong, which is more than the standard in the field for claiming a distinction,” he said. 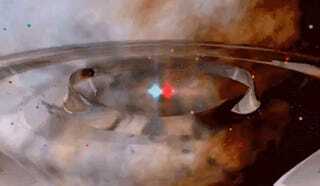 But it could take as few as ten more gravitational wave events to determine the answer, depending on the model. Maybe more data will provide an even stranger story, “such as those involving three black holes or black holes that receive kicks from supernova explosions during their formation that result in spin–orbit misalignment,” wrote Sigurðsson.